Created by 6b251803a89899b5bc8c7709db4c78261ad820a5 on Aug 14, 2015 10:35 AM. Last modified by megan.truett on Jan 5, 2018 2:45 PM. http://blog.marketo.com/category/targeting-and-personalizationRemember the first time you visited a website as a returning customer and saw your first name “magically” appear on the login page? Back then, personalization in the consumer market involved little more than inserting a first name into a login page or email. But with the advent of big data and real-time technologies, personalization has transitioned from static elements to contextual engagement. Consumers feel increasingly comfortable making considered purchases online, and, as a result, marketers must seize any opportunity to personalize cross-channel content. Today’s personalization technology makes this possible, delivering customized web, email, mobile, and ad experiences to new and existing customers to help reinforce their loyalty. In the past, personalization was mainly used to identify visitors by name or location and lacked a specific context or relevancy. Apart from not offering value, in the absence of real-time technology, marketing responses were often delayed and required waiting for visitors to return to the website or targeting them days later via email or ads. Fast forward to the present. Personalization tools now analyze user behavior in real-time and immediately deliver targeted content across multiple user channels. Let’s take a look at an example from the hospitality industry to see how this works in action. If you’re promoting travel packages, and you know the consumer’s age and income bracket, this data can easily be leveraged to customize the visuals and offers depending on the channel. For example, college students on spring break are looking for the best parties in town, whereas seniors are more likely to be interested in luxury vacations that are cruise or resort-based. Also, while seniors may prefer receiving an email with the latest holiday deals, young students are accustomed to receiving push notifications on their phones. Knowing these types of particular preferences is extremely valuable to marketers and can be used to select images, construct messaging, and offer packages that best fit an individual customer’s needs. Targeting an existing customer whose details you have is one thing, but what happens in the case of anonymous visitors? If we return to the hospitality example, personalization works based on the web visitor’s behavior. This might be a search term the moment that senior citizen searches for “golf package holidays” or actual behavior she shows on the website, like pages viewed and number of clicks. Based on behavior, real-time personalization tools can change the website’s content to be relevant for the visitor. Instead of showing the general picture of the hotel resort, marketers can personalize the webpage to show images of the resort’s golf courses that would appeal to this specific visitor based on their search term behavior. Once an anonymous visitor turns into a known buyer, past purchasing history or any data that the known buyer has provided can be used for personalization which works great for cross-selling or up-selling opportunities. Personalization is core to the concept of engagement marketing. This entails listening to, understanding, and responding to consumers, often over a long period of time, based on who they are and what they do. According to Janrain & Harris Interactive, 74% of online consumers get frustrated when a website’s content is irrelevant to their interests. In addition, using demographic and behavioral data to personalize experiences was found to increase conversion rates by 30%! Personalizing content improves your marketing metrics and bottom line. For instance, a hotel chain that used Marketo’s solutions saw the following results from their personalization efforts. Within one month! Over 3,300 online visitors click on personalized calls to actions. These visitors spent an average of 217% more time on the hotel’s website than before and viewed nearly 300% more pages per visit. Overall, visitors who engaged with personalization campaigns on the website showed a 10x lift in revenue conversion as compared to the average site visitor. Luxury Goods: For jewelry sellers, if a consumer with a high income profile performs a Google search for “gemstones” and clicks on a search result that links to your website, the home page will be personalized, based on their profile and search term used, to a visual of a higher priced gemstone offer. 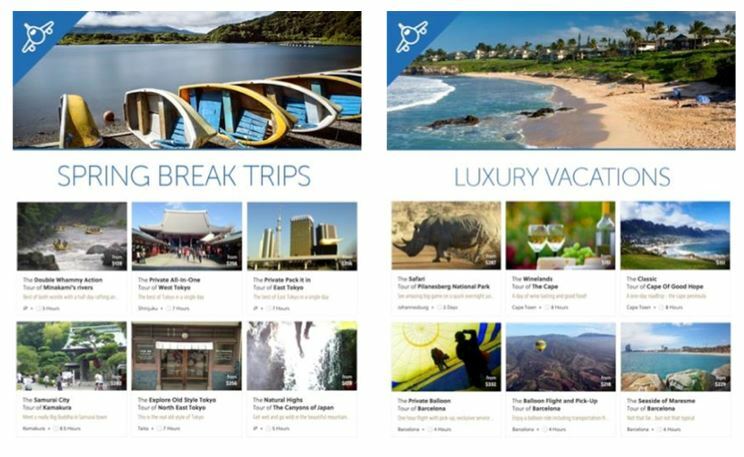 Travel and Leisure: A tourism website can upsell or cross-sell returning visitors by featuring banners with exclusive VIP packages for loyal customers. Healthcare: Web visitors can be identified by location, enabling healthcare providers to limit website info strictly to policies for that specific location. High-End Retail: Brick-and-mortar locations can offer special discounts or offers to in-store shoppers and target them on their mobile devices. Personalization in the digital world is about understanding who your customers are and which channels are most suitable for them to offer the most engaging content at every moment. Your consumers are constantly interacting with your brand, and you have to be ready, at any point in time, to react with the right messaging. Real-time technology has transformed personalization and makes it more relevant than ever to enable marketers to stay one step ahead of their target market and ensure they’re always met with the best, most personalized content. David is a product manager for Marketo’s Real-Time Personalization (RTP) platform. Prior to joining Marketo, David spearheaded the digital marketing for a leading global consumer goods company. When not dreaming about the next product feature, David can be spotted wasting hours on the cricket field.